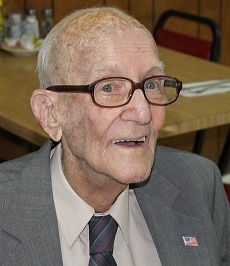 Today marks the 90th birthday of Meridian attorney Champ Gipson. That is Champ on the left. Champ served in the Army Tank Corps in World War II. He graduated from Cumberland Law School in Birmingham in 1947, and returned to Meridian to practice with his dad. Champ was in general practice for decades, and now spends his days visiting with his friends in several breakfast and lunch groups, running errands and at home in Tamola with his wife. You are currently reading THE UNDISPUTED CHAMP at The Better Chancery Practice Blog.